Interested in exhibiting at BuildingEnergy Boston? See NESEA's Exhibitor Packet for pricing and details, or contact Devan Folts, Communications & Development Director, at dfolts@nesea.org or 413-774-6051 ext. 25. Current exhibitors should visit the Exhibitor FAQ page for travel information, display specifications, and more. This map was last updated on March 12. 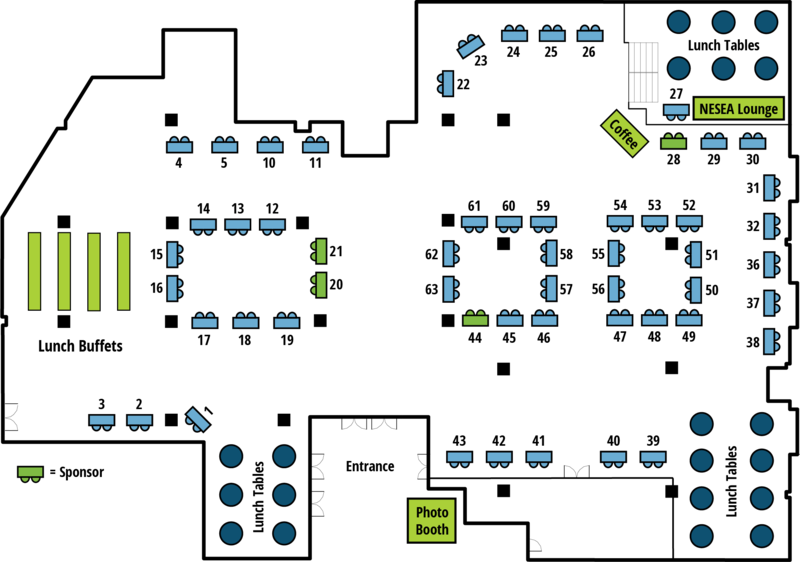 Blue tables are reserved by exhibitors. Green tables are reserved by sponsors. White tables are available.